Fehreen is a mother of a 19-year-old son and a 17-year-old daughter. In both of her pregnancies, she received pre/post-natal care from her mother, mother-in-law and grandmother which was deeply rooted in Ayurveda. She gained a deep love and connection with the healing she received through both pre/post-natal care, that she decided to seek formal education in the science of Ayurveda, specialising in plant healing. Whilst raising her 2 children, she continued to learn and eventually gained the opportunity to become an operating practitioner. As her family grew up, she chose to work more independently, practicing from home whilst launching Ayurvedic inspired teas online. The experience of launching Tea Coup garnered countless opportunities and relationships, many of which are still active today. Her journey has coincidently paralleled the growth of her family. 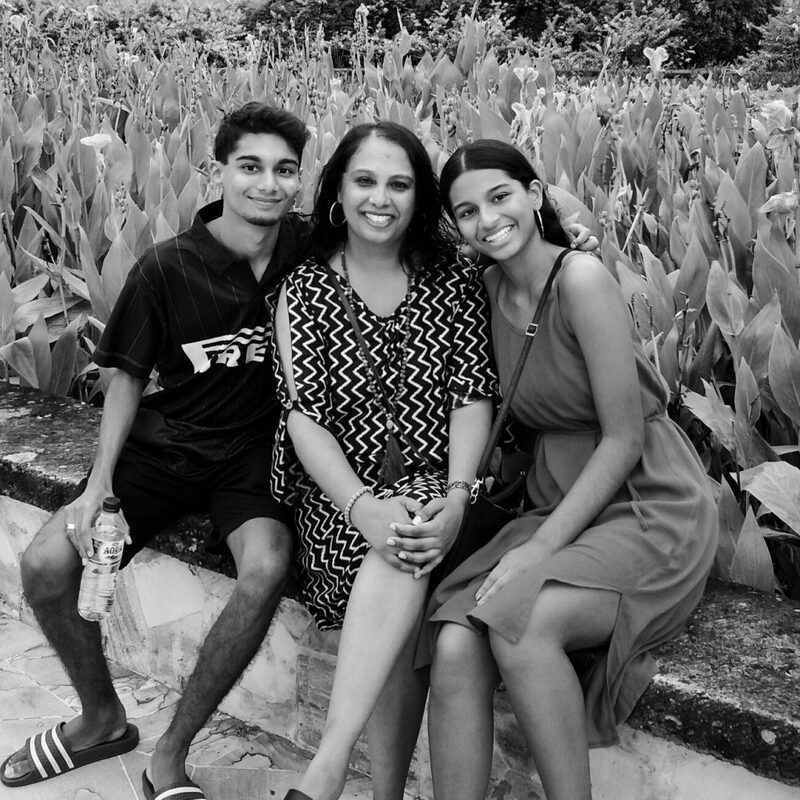 Now as my children grow into adults, she seeks to embark on new challenges such as tea meditation, further formulation and education surrounding not only tea and Ayurveda but culture and feminine heart centred healing also. She believes that people trust and are comfortable to work with her, as she approaches every aspect of her life with clear intentions and from the heart. She invests time in herself and takes the opportunity to reflect and heal from life’s challenges and triumphs to keep herself grounded. People feel this energy and gravitate towards it. Motherheart allows her to share her experience in raising children in a holistic way. The birth of her son and daughter and becoming a mother has given her a deep connection to mother earth. In times of turmoil she would turn to your mother for advice and meditate. If she could tell her younger self something it would be: ‘Trust the process; your greatest asset is within you’.